Just when I was thinking I needed to stick my tired looking face in to a vat of hyaluronic acid (damn you, long hard January!) 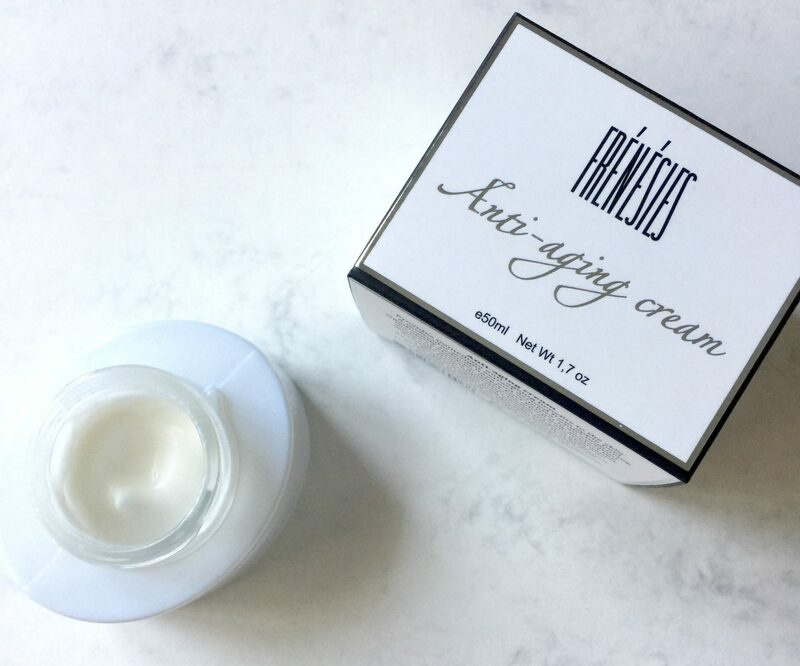 the lovely people at Frenesies send me their new advanced anti-ageing cream, and it’s PACKED with the stuff. Known for their hair growth reduction creams, Frenesies now has a range of creams to keep fine lines, wrinkles and pigmentation at bay. Not only does this cream work fast to soften and plump up skin, it also aims to reduce these common signs of ageing. Avocado and seed oil ramp up the hydration, and apple peel (which the creams smells deliciously of) works to calm inflammation and improve the skin’s elasticity. The patented formula works to increase cell renewal, and eliminate the signs of sun damage that lead to ageing skin. For £30 a pot this is some seriously good value moisturising cream, it protects whilst it soothes and repairs, and the apple scent is scrummy. I preferred this as a night cream as it doesn’t have SPF, but you can use it day and night and layer with a suncream. I am very intrigued to try their hair reduction creams now, if they work as quickly and as well as the anti-ageing cream does I will be delighted. This is an all-natural hard-working cream, perfect for all skins but especially mature ones. You’ll see results straight away, and your skin will become more luminous and even-toned in the long run.